In continuing our exploration of the senses, today we move on to the essence of taste. 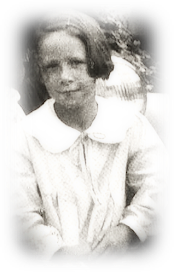 If you missed the previous posts, you will find them linked at the end. 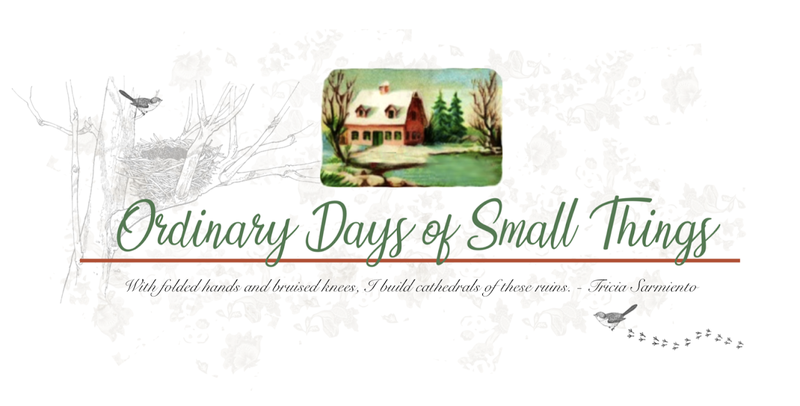 According to Sarah Ban Breathnach in her book, Romancing the Ordinary: A Year of Simple Splendor, the word taste has a double meaning. The primary definition of taste is the sensory faculty, which enables us to distinguish dissolved substances as sweet, sour, bitter or salty. It doesn't matter if you're eating in a four star up scale restaurant or the corner diner, every chef has only these four flavors to work with. I personally tend to prefer the sweet and salty combinations best. And while I can appreciate some sour flavors, I don't care for bitter tasting foods at all, or maybe I just haven't found the right ones! Did you know that we are born with approximately 10,000 taste buds, and that up to age 40, they regenerate every two weeks? They continue to regenerate after that age, too, but just not as often. That means that there is a chance that something you taste this week and don't like, may taste completely different to you in just a few weeks, which is whey nutritionists suggest constantly reintroducing foods to young children even if at first they are not favorable. With repetition, and because their tastes buds are constantly changing, they may learn to like broccoli, after all! The second definition of taste refers to the mental faculty by which we appreciate things for the pleasure they bring us. Some people may refer to is as their "sense of style", and the media spends billions of dollars trying to convince of what is currently considered, "in good taste", or rather, how we should decorate our houses and adorn our bodies. And while many people keep up with the trends, for others taste is a very personal matter. It's taken me a lot of years to finally discern my personal taste and to know what I prefer. Aside from what the media may say, I've stuck with the same style and color palette for several years now. I think the key to personal taste is knowing what styles and colors you personally prefer and what looks good in your home and on your body. 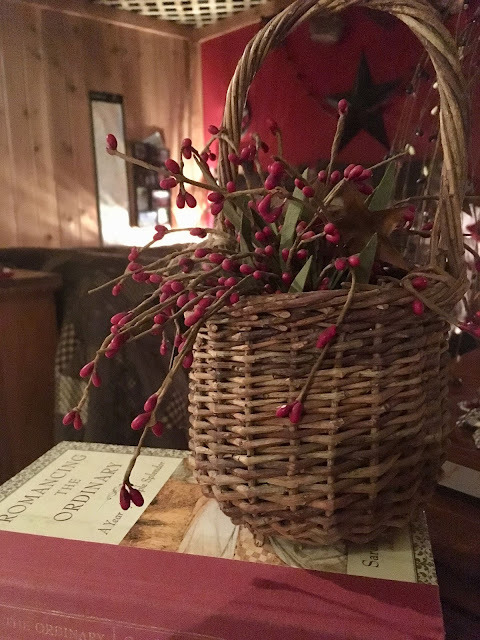 I have been drawn to what was once known as "Country Decorating" and is now more commonly known as "Primitive" for years now, and I love the colors black, red, yellow and green. And while I wouldn't consider my wardrobe to be "primitive", the same color and patterns often carry over into my wardrobe selection as well. Just for fun, I thought I list some of my favorite sensory tastes, and then my tastes in style and fashion. In keeping with the previous posts, I've also made up a little printable that you can download for free and explore your own tastes and sense of style. And so without further delay, here are my personal preferences. - Just about anything Indian, Thai or Mexican, I like things with a LOT of flavor and a LOT of spice! - But I also REALLY like a good steak with a loaded baked potato and a Caesar salad. One of my favorite meals! - And I LOVE meatloaf, mashed potatoes and field peas! - I love primitive decorating primarily in black and red with touches of yellow, but recently I've been kind of transitioning some of that over to green. Bill prefers green and now that we are back together I'm taking both of our tastes into consideration when decorating. Thankfully he loves rustic/primitive, too, so I haven't really had to change anything. - As with my decorating I wear a lot of black, red and green. Since I am blessed to be a stay-at-home wife and mother, most of my wardrobe consists of jeans/shorts, t-shirts and in the winter a LOT of flannel shirts! I have kind of a weakness for flannel. I much prefer my winter wardrobe to my summer one, but then, I prefer autumn and winter over the warmer months, as well. I've also developed a love for fleece lined black and grey leggings this winter. They are just so warm and comfortable, but I do wear them with long tops. I also have a bit of a fetish for socks, and it's hard for me to pass up buying more, especially those cute seasonal socks they have in the dollar section at Target. It's an illness! And finally, because my daughter works at Old Navy, I discovered this year just how cheaply you can buy cute clothes when they do mark downs. The quality may not be quite there, but for a few seasons anyway, I'm good with $4.00 thermals, especially when they are red and black buffalo check! 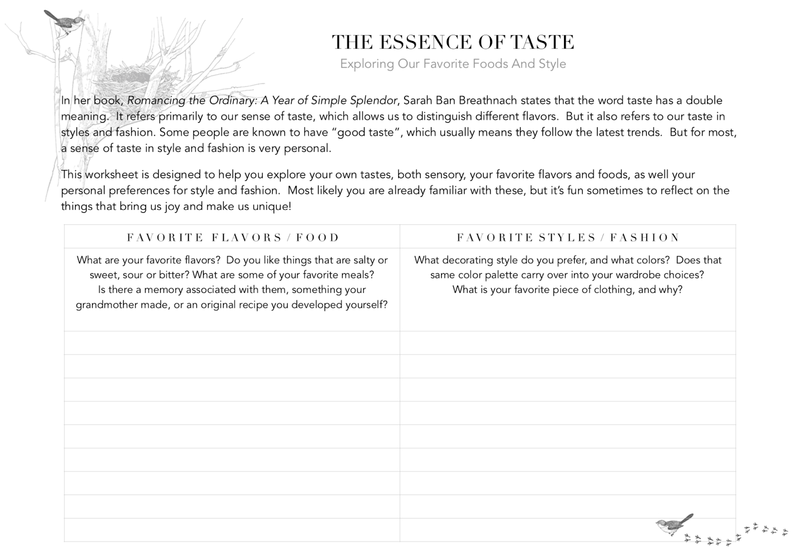 As I said before, below you will find a printable to help you explore your own sense of "taste", and I'd love to hear from some of you! What are some of your favorite flavors, meals. How do you decorate your house, in what style and colors. And do those colors also tend to show up in your wardrobe, as well! The cushions on my couch are black and white buffalo check and I also bought a pear of thermals back in December in the same pattern. So now when I sit on the couch when I am wearing them, I'm almost invisible! You will find the link to the worksheet under the image below as well as the links to the previous posts in the series where you'll find additional **FREE** printables, as well! We still have a few more senses to explore in this series, and next up is the essence of touch!